Liana’s love of the violin began at age six and has since taken her all over the world. She has performed with many of the world’s leading conductors, classical soloists, and pop artists, and has concertized in 17 countries on 4 continents. Liana’s performances have been heard on CBC Radio, NPR, and VH1. A passionate chamber musician, Liana is violinist of the Delphi Trio – currently Artists-in-Residence at Old First Concerts – and devotes the majority of her artistic energy to fostering and promoting the piano trio as a genre. 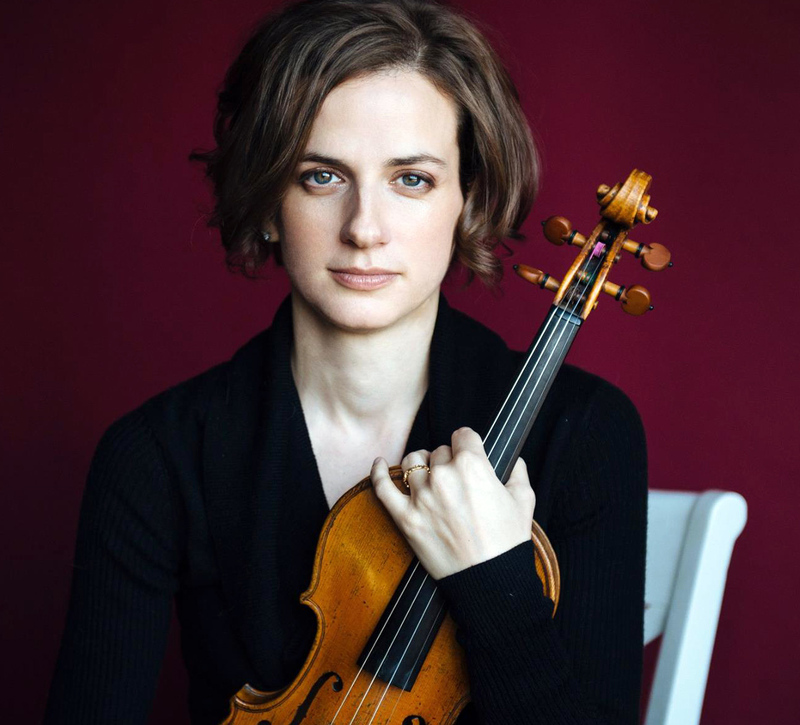 Liana is also highly sought-after as an orchestral musician; previously a member of the prestigious Verbier Festival Orchestra in Switzerland, she now serves as Associate Concertmaster of the San Jose Chamber Orchestra and Principal Second Violin in the Oakland-East Bay Symphony and the Monterey Symphony. Liana is concertmaster of the Magik*Magik Orchestra, an ensemble dedicated to crossing the boundaries between classical and rock musicians. Liana is frequently in demand as a recording artist and can be heard in many projects and albums, notably Death Cab For Cutie’s Grammy-nominated album Codes and Keys, and John Vanderslice’s acclaimed album White Wilderness.